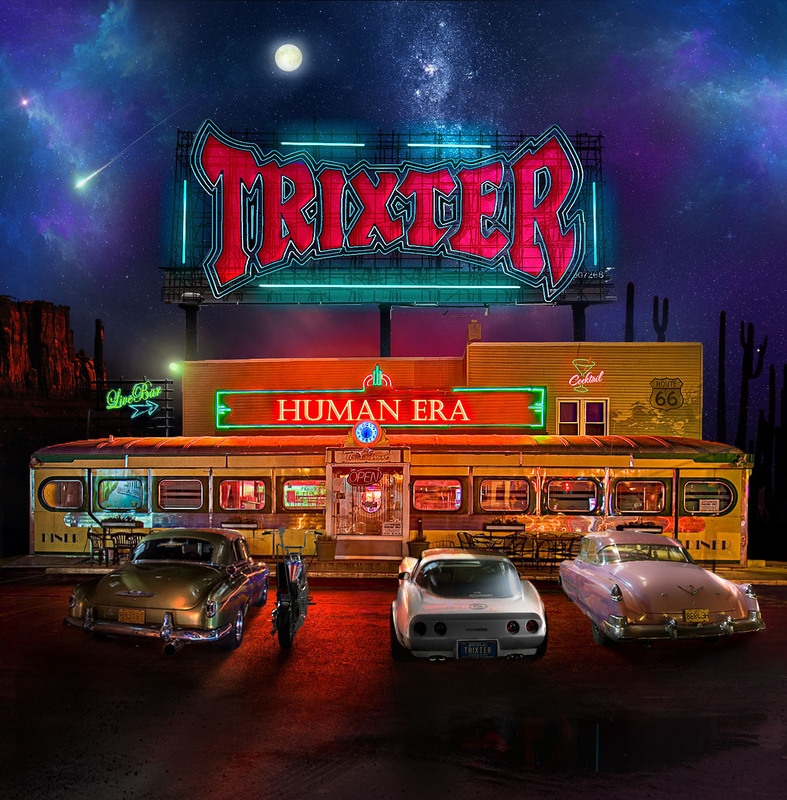 Rock & Metal 4 You: CD-Review: Trixter - "Human Era"
CD-Review: Trixter - "Human Era"
American Hard Rockers TRIXTER are one of those bands that were washed away by the Grunge wave in the early 90s. Their self-titled debut was released back in 1990 - not the best time to start with infectious Glam Rock. Nevertheless it gained a huge fanbase and for a moment Trixter were celebrated as the next Rock sensation from New Jersey with hitsingles like "Give It To Me Good" or "One In A Million". But then the music world changed and the second record, which followed in 1992, wasn't that successful anymore. 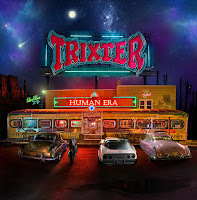 After Twenty years Trixter returned with their third album "New Audio Machine", that showed Trixter back on track and hungry for more. The follow-up "Human Era" will hit the stores on June 5th. Can the band surprise us again? Maybe you are not familiar with Trixter, so what can you expect? Typical American Hard Rock with soaring guitars, unique and harmonic vocal lines, packed in catchy tunes with a strong 80's vibe. 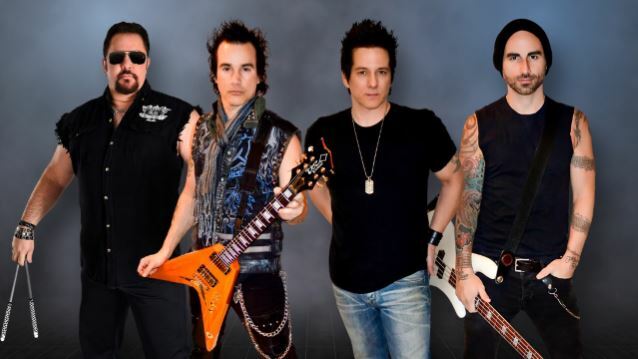 If you liked Def Leppard, Bon Jovi or Van Halen back in the days then you will love "Human Era". Trixter found the right balance between old and new, that means the album has this strong 80's vibe I described above, but it doesn't sound outdated. The production corresponds to modern standards and is really down to earth, not overproduced or anything - just enjoyable. Where "Human Era" can shine the most is the strong songwriting. There are many tunes on this record that would have become potential airplay hits on the radio 30 years ago. It all starts with the amazing opener "Rockin' To The Edge Of The Night", which is the best "Def Leppard" song I heard in recent years. Arena rock at its finest, there's not much more to say. The following Hard Rockers "Crash That Party", "Not Like All The Rest" and "For You" increase the speed and groove much more, before a softer, more melodic center follows. The midtempo-rocker "Every Second Counts" comes along in the best Bon Jovi vein and is another winner, as well as the following power ballad "Beats Me Up" and the stadium anthem "Good Times Now". "Midnight In Your Eyes" is again this Def Leppard or Johnny Lima kind of song - a good one, not the best, but solid. The last third of the record is again more Hard Rock focused and can't keep up to the first songs, but it's still very enjoyable and far away from being average. The band performance is tighter than ever and every song is played and presented very well. Singer Peter Loran still sounds like back in 1990 and has a very charismatic voice. Steve Brown delivers some pretty cool solos and the rhythm section sounds great, too. 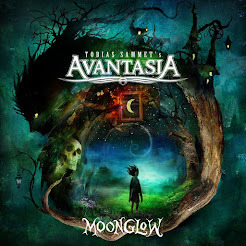 Nothing to complain about, these guys know how to play well-crafted Melodic Hard Rock. So in the end I just can say: Yes, Trixter surprised me once more - in fact with their best album to date! "Human Era" is full of great tunes, amazing performances, good production and just a very few weaknesses. Many bands of the 80's celebrate a revival today and very often I can't understand why, because the have nothing new or stunning to say. With Trixter it is different. Here I'm very glad to have them back in the Rock circus and I hope their second spring will last a very long time. Overall this album is highly recommended to fans of the bands I mentioned above as well as people who like Rock music with attitude and 80's vibe. Very well done! CD-Review: Nelson - "Peace Out"